He said, “There are threats to Nigeria’s maritime environment, including illegal bunkering, crude oil theft and maritime terrorism. Our efforts to contain these threats are a trinity of actions — surveillance, response initiative and law enforcement. The Niger Delta region has a large number of creeks and we have to curtail the movement of criminals and crude oil robbery. “Operation Tsare Teku led to the deployment of ships to coasts of Bayelsa and Rivers to secure onshore and offshore oil operations and to prevent attacks on ships. We also began Operation River Sweep, where we deployed operatives to destroy illegal refinery sites. Hence, 637 illegal refineries and 1933 illegal storage tanks were destroyed. 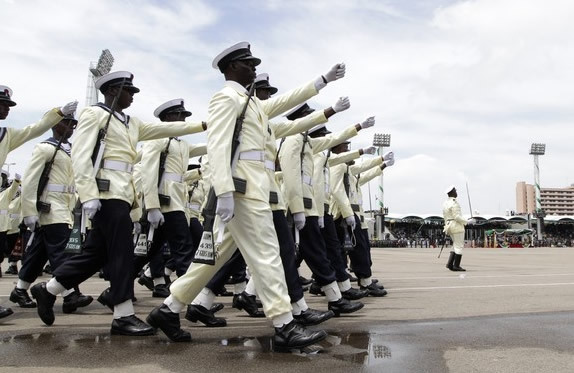 The Navy Chief of Policy and Plans, Rear Admiral Begroy Ebe-Enwo, who represented Chief of the Naval Staff, Vice-Admiral Ibok Ete-Ibas, at the conference, said the military would continue to deploy its personnel to secure Nigeria’s maritime environment from all criminalities towards increasing the country’s economic earnings.